Welcome to the Endless Energy blog! Here, we will be posting tips and helpful information about our solar panels, as well as advancements in the solar power industry as a whole. Whether you are interested in solar power for your home or are considering commercial solar panels, you can consider our blog your go-to for all things solar energy. Got a question about the costs versus benefits of solar panels for your home? Want to know more about how commercial solar panels can save your business money via tax incentives and lower energy bills? Stay tuned for future posts, where we will go in-depth about everything there is to know about solar panels and why they are such a great investment. Until then, here is a little more information about what we do at Endless Energy! Endless Energy is one of the most widely respected solar companies in Andrews, TX, and has been serving the solar power needs of local home and business owners in Western Texas and Southeastern New Mexico for decades. From solar panel installation and maintenance to custom solar roof designs, we do it all — and we do it well. There isn’t another solar energy company in the area that has a staff as knowledgeable and skilled as we do, and it is for this reason that we are the top choice for both residential and commercial solar panels in Andrews, TX as well as Roswell, Hobbs, and Carlsbad, NM. Environmentalism is at the center of what we do, and we have an experienced team of eco-minded solar panel experts on staff who have a fiery passion for solar energy. Our staff’s lifelong dedication to making the world a better, safer, and healthier place is what makes them truly one of a kind, and their values of sustainability and environmentalism shine through in all the work that they do. It’s all part of our mission to transform the world and reduce our carbon footprint one solar cell at a time. With us as your trusted solar power company, you can rest assured knowing that your solar shingles, solar roof, or free-standing solar system is in the hands of experienced professionals. Each of our staff members have a breadth of knowledge and experience in the solar power industry, making them well-equipped to handle any solar panel installation, maintenance, repair, or initial design you may need. Residential and commercial solar panels are our specialty, and we look forward to providing you with exceptional service you’ll never forget. As the premiere solar company in Andrews TX and the nearby Roswell, Hobbs, and Carlsbad, NM areas, we are proud to offer both residential and commercial solar panels for local home and business owners. No size project is too big for us to handle, and we approach challenges with an eagerness to learn and overcome. It is our major projects, both residential and commercial, that set us apart from the competition, as we never shy away from complicated solar panel designs, installations, and repairs. That being said, here is what we have to offer for residences and commercial properties. Nowadays, it is not uncommon for people to buy solar panels for their home. In fact, you might not even notice them anymore because they are popping up everywhere on houses, cabins, townhomes, apartment complexes, and even RVs, travel trailers, and campers. While it’s tempting to think of residential solar panels as a fad, they are in fact the future of renewable energy as an alternative to costly fossil fuel and natural gas. 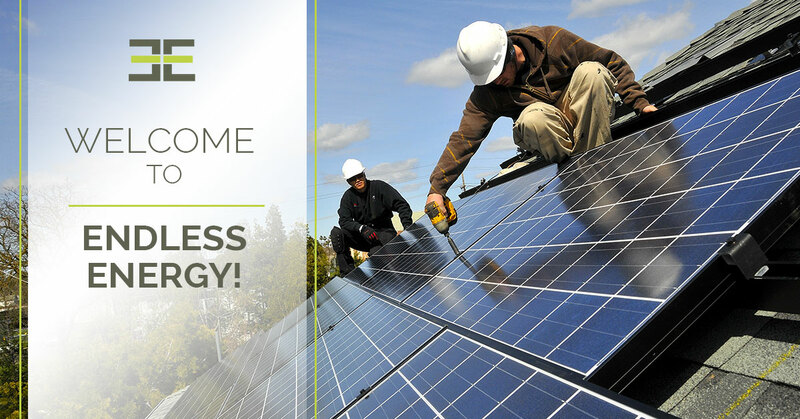 If you are thinking about making the switch to solar, schedule a residential solar panel installation with us today! And if you’re a business owner in Andrews, Roswell, Hobbs, or Carlsbad who is looking to reduce the carbon footprint of your business, read on to find out about our commercial solar panels. While residential solar panels have become wildly popular in the last few years, the rise of commercial solar panels is just starting to take off. As it turns out, there are many ways that solar panels can benefit your business, from reducing energy bills and providing tax breaks to increasing sales and improving your reputation as an eco-friendly company. We hope that this post has given you an idea of who we are as a company, what our values are, and what we offer for home and businesses in Andrews, TX and Roswell, Hobbs, and Carlsbad, NM who are interested in making the switch to solar power. Keep your eyes out for future posts about solar power, and contact us today for a custom quote, solar panel installation, or solar panel maintenance. We look forward to helping you reduce your carbon footprint with solar panels!